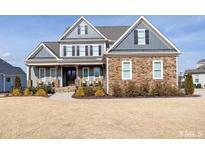 Below you can view all the homes for sale in the Averette Ridge subdivision located in Rolesville North Carolina. Listings in Averette Ridge are updated daily from data we receive from the Raleigh multiple listing service. To learn more about any of these homes or to receive custom notifications when a new property is listed for sale in Averette Ridge, give us a call at 919-759-5754.
bedrooms with walk in storage on second floor ! MLS#2250006. 3770. Walk up attic w/ plumb for bath. Make this yours today ! MLS#2249579. 3770. Tankless water heater, Anderson premium windows, upgraded insulation. Access to community pool & clubhouse. MLS#2249439. 3770. The executive home offers just over 3200 square footage of heated living space as well as a 882 sf unfinished walk up attic. MLS#2235495. 3770. Clubhouse and trails are part of the Averette Ridge Owners Association Inc. MLS#2234367. 4823. 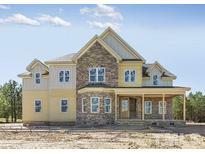 Custom; Large Wrap-around Porch; Iron Picket Staircase; Hardwoods, Tile, Frieze Carpet; Crown, Sills & Casings; Gourmet Stainless Kitchen w/Island, Granite Counters, Double Wall Oven & Travertine Backsplash; Coffered Dining & Sunroom Ceilings; Double-Sided Gas Fireplace w/Mantles; 3-car Gar w/cabinets; Large Master Bedroom w/Drop Tray ceiling; Master Bath w/Tile Shower & Seat, Jet Tub, Dual Sinks & Walk-in Closet; Large Bonus w/Half Bath; Dual Zone A/C; Built-in Closets; & Much More! MLS#2204777. 318.